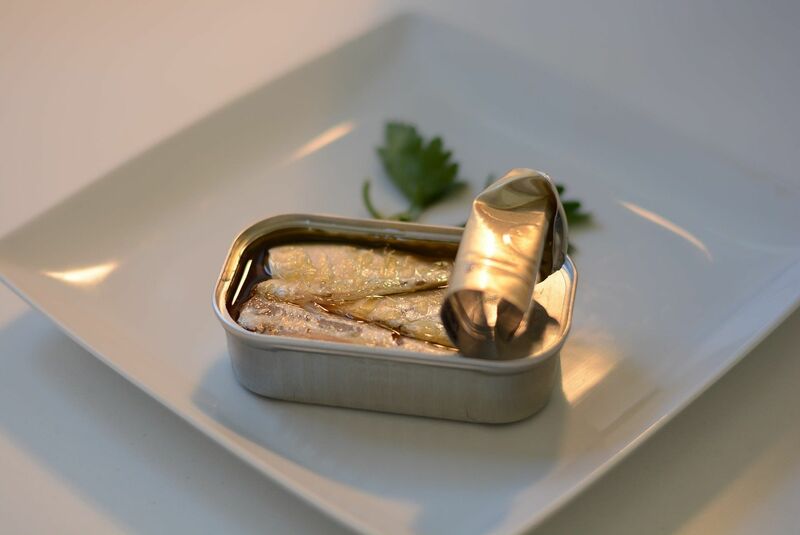 The term sardine applies to many types of small fish (sardinella, sardinops, sprats, herring) found in the Mediterranean Sea and Atlantic Ocean. In fact this fish is named after the Mediterranean island of Sardinia in Italy, because the Greeks had noticed that sardines were in abundance in those waters. For many centuries, fresh sardines were consumed directly on the docks, where they were salted and preserved in barrels. It was only during the 19th century that people started preserving them in oil. Sardines are rich in omega-3 fatty acids, giving them indisputable advantages for good health. Whole sardines which are tinned are also an excellent source of calcium, phosphorous, iron, selenium, vitamin B3, vitamin B12, and vitamin D. That’s the reason why we should all try and include this little fish in our menu; of course, let’s not forget that they are also very tasty and economical. Fresh sardines hold a place of pride in Portuguese cooking, where they are often grilled on a barbecue. Tinned sardines can also be added to mixed vegetable salads, like this one: Genoa Salad with Sardines. Originally published in the Journal de Montréal on May 2, 2009.